Kurt’s Rock Show – is a disciple of Kurt’s Music Show. The mission is essentially the same – have fun (maybe even dance!) and rock out – even if you’ve never heard of the band before. With each new song, you are expanding your musical palette and learning how vital music is to your quality of life. Kurt doesn’t completely avoid the hits or mainstream bands but he assumes you listen to WAPJ because you want to hear something different…something other than the same 10 songs played every hour. 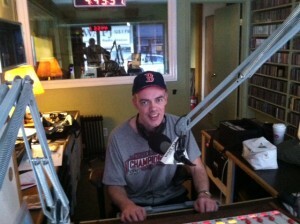 So crank up Kurt’s Rock Show every Monday night from 10 p.m. to midnight.